Observed in Madera Canyon, Sta. Rita Mts., Arizona, USA, Sept. 2010. 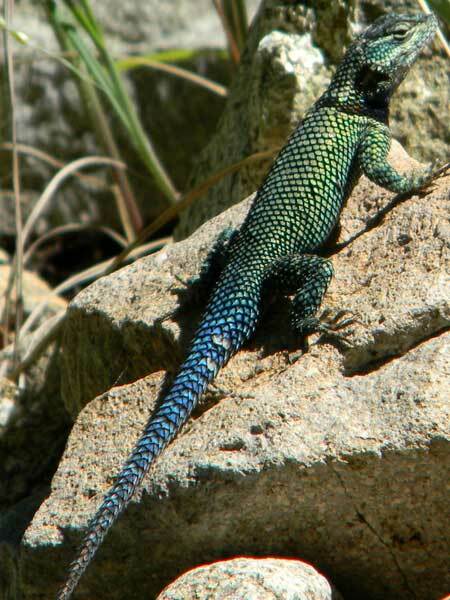 In Arizona, this 10 cm long spiny lizard is restricted to the Sky Island mountains of the southeaster sector. The more extensive blue is found on males, whereas females are gray-brown. A distinctive feature is the complete black collar about the neck. There is a narrow white border along the posterior edge of the collar. The scales are large and keeled.